The Village of Lannon is a small community in northeastern WAUKESHA COUNTY incorporated in 1930. As of the 2010 census the village had a population of 1,107. 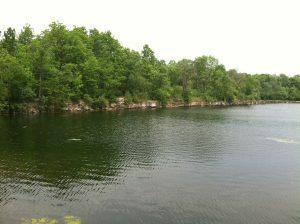 Lannon is located on the Niagara Escarpment, a geographic feature that stretches across the Great Lakes region and contains a significant amount of limestone. 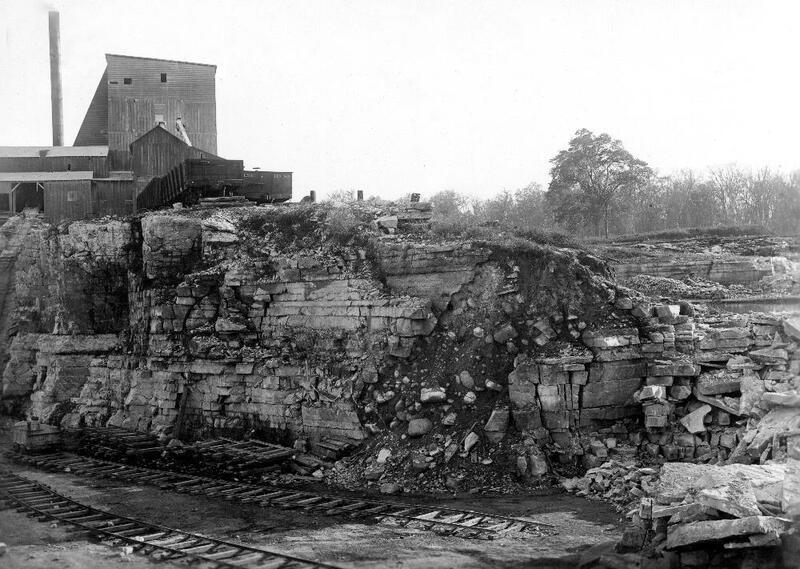 The first limestone quarry in WAUKESHA COUNTY was opened in the Lannon area in 1838. The village’s QUARRIES attracted ITALIAN, POLISH, and GERMAN immigrants, many of whom were skilled stone cutters. From the nineteenth century through the twentieth century, Lannon’s limestone was very popular in the construction of homes across the region. It was also burned in kilns to make quicklime, a main component of whitewash. Since World War II limestone from Lannon has been utilized for the construction of churches and landscaping throughout the Midwest. The Village’s fire department, which was a volunteer unit until its formal incorporation in 1917, consolidated with Village of Menomonee Falls’ department in 2015. Lannon’s police department is a part-time unit, assisted by the Waukesha County Sheriff’s Department. ^ Michael R. Reilly, “Lannon History—After Incorporation 1930-1959,” Sussex-Lisbon Area Historical Society, Inc., accessed April 10 2012. ^ American Fact Finder, “Lannon Village Profile of General Population and Housing Characteristics: 2010,” accessed April 10 2012, http://factfinder2.census.gov/faces/tableservices/jsf/pages/productview.xhtml?pid=DEC_10_DP_DPDP1&prodType=table. ^ Ruth Schmidt, “Lannon and Its Quarries,” Sussex-Lisbon Area Historical Society, accessed April 10 2012. ^ Halquist Stone, “Our History,” http://www.halquiststone.com/company/index.html, accessed April 10 2012. ^ The Village of Lannon website, accessed October 15, 2018; The Village of Menomonee Falls, Wisconsin website, accessed October 15, 2018.